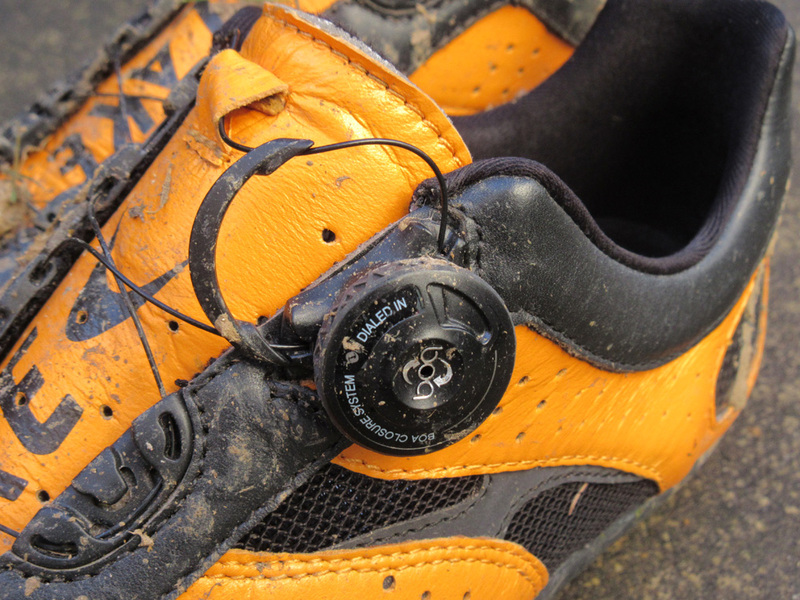 The Lake MX331 CX shoes are purpose designed for the rigours of cyclo-cross. We take them for a dirty ride and see how they perform. Working with top racers such as Jeremy Powers, Lake deduced that being light and stiff should be the key priorities of a performance cyclocross shoe. They’ve achieved this by reducing as much of the rubber on the sole as they can. In appearance, the exposed carbon underside of the shoe is more akin to a road shoe than anything traditionally off-road related. Tipping the scales at lowly 348 grams each for a size 44, and being some of the stiffest shoes we’ve seen, Lake have really achieved what they set out to do. Comfort isn’t an issue even with the lack of flex, largely thanks to a heat mouldable heel area, allowing for a custom fit. In addition, the soft kangaroo leather was supple and surprisingly hard wearing, working in conjunction with a Boa retention system to keep the shoes firmly in place. 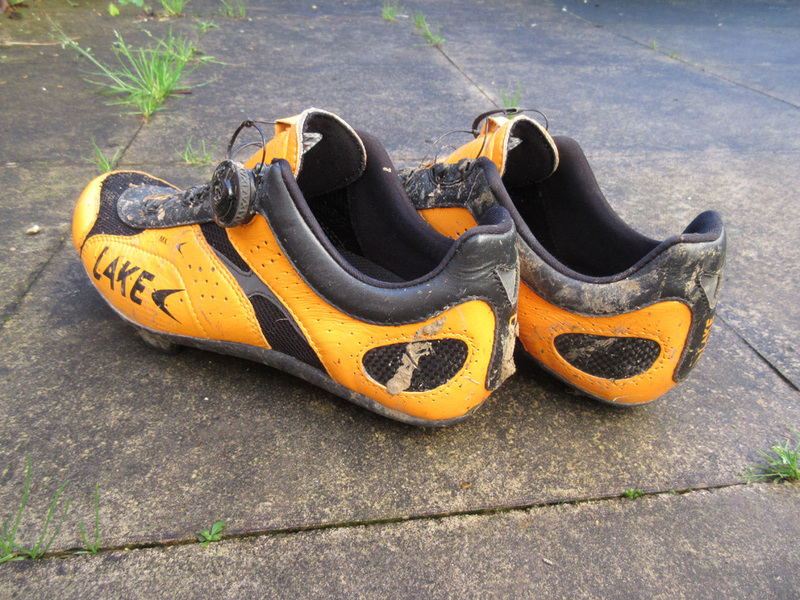 The Lake MX331 CX shoes are certainly orange. Luckily, black is available too. Although the terrain and tyres will dampen some of the instantaneous feel that the shoes offer, it is apparent how securely in contact with the bike you are. Running in MTB shoes can be a somewhat ‘flat footed’ affair, but despite the zero flex of the sole the shoe follows the natural motion that the foot takes when off the bike. Various different studs are supplied with the shoes, allowing you to custom your set-up to the course and conditions. One negative aspect with the Lake MX331 CX shoes came when clipping in to certain Shimano SPD pedals; the shoes’ narrow recess gives very little side-to-side leeway and the cleat must be centred perfectly. I also questioned some of the meshing on the shoes, keeping my feet warm in winter is a bigger priority for me than keeping them odour free. It’s a shame there aren’t a few more colour options, orange will not be for everyone, and the alternative all in black are just that, very black. The sizing is very impressive though, offering normal, men’s wide and female sizes. If you really do require the best you can get, then these Lake MX331 CX shoes should be top of your list, but they certainly come at a premium.